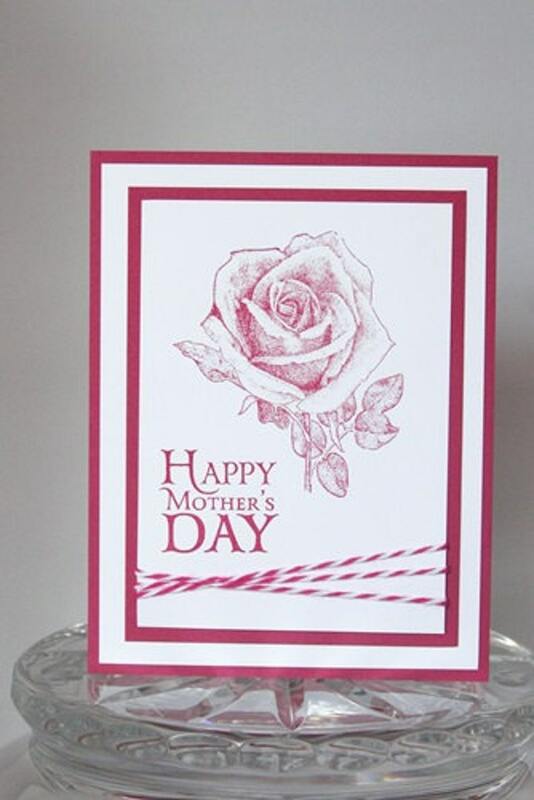 Let those close to you know how special they are this Mother's Day by sending them a hand made card. Elegant and simple, this hand stamped rose will be perfect for any recipient. 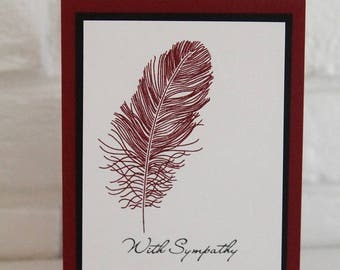 The flower image and sentiment are hand stamped in rose red ink and layered with matching shades of card stock. Finishing off the card for balance is a complementing twine.